"I live in Gidgegannup with my partner, my two horses (Foxwood Whirlwind and Aurum Weltschale), our dog and cat. I joined the DWA Committee in 2014 as the DWA Newsletter Editor and have a great time learning about the WA dressage community. I am now the Chairperson of DWA and I feel very privileged to be in this position of great responsibility. I have met lots of wonderful people within the WA dressage community and it is these people that inspire me to try and make positive differences in our sport. When I'm not dressageing about I work for the Geological Survey of Western Australia as a geologist helping the exploration industry understand geoscientific data. " "I have been involved with EWA over a period of some forty years, as a competitor, a member of the Board of EWA and Chair of Dressage, Interschool and Show Horse Committees. I competed successfully in the disciplines of Dressage and Show Horse on a number of horses. I am an EA Dressage Judge, a National Show Horse Judge and a Level 1 General Coach. In my previous life I taught in the Government and Independent School sectors. I was privileged to be Principal of Kobeelya College, a school where the students could bring their own horses and compete in Dressage, Eventing, Jumping and Showing. Following my time at Kobeelya, I was the Vice Principal of Penrhos College. Since Para Equestrian has become a discipline of the FEI, I have represented the Para Equestrian Riders on the DWA Committee. As an elected member of this committee I will continue to promote this discipline and encourage eligible riders to join the sport. I am very keen to assist in the organisation of events which will bring more competitors to dressage and more spectators to appreciate and enjoy our sport. I also support assisting and encouraging clubs to develop variety in their events." I have professional experience in media, communications and stakeholder engagement, along with many years as a committee member with adult riding club. This is my second year on the DWA committee. 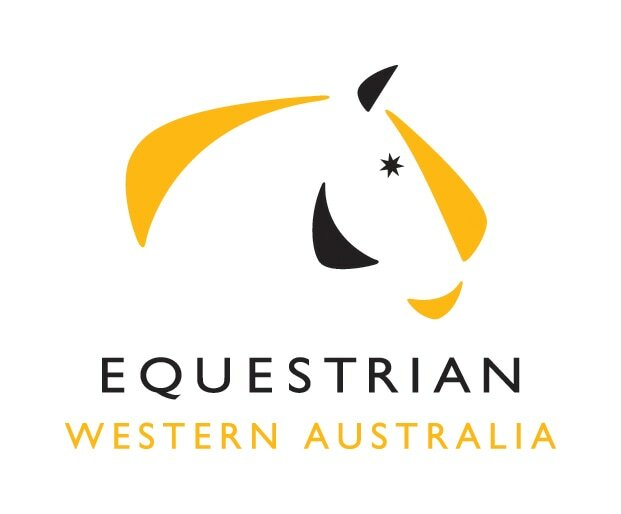 I joined in late 2017 to help with the website and Facebook, but in 2018 I took on the role of Pony Dressage rep because I want to ensure WA ponies and their riders are afforded the same opportunities and recognition in all levels of competition. I am also the Club Liaison rep and keen to explore ways to encourage and grow dressage from the ground up, which is why I am excited about the new Grass Roots Dressage Championships we are launching in November for Participant and Adult Rider members. I have competed to novice level in pony dressage and earlier this year I joined the new Working Equitation club at Brookleigh, which was really enjoyable and added some variety and challenge to my riding. Outside the arena, I love trail riding and ‘horsey’ holidays with my friends. "I’m currently studying my Masters Degree in Chemical Engineering at UWA and work for a consulting firm in the city. I ride an amazing little pony called Marblz who has taken me across the country to compete in dressage up to FEI Medium Tour. I have also been given the opportunity to ride a beautiful young Warmblood called Geneva. ​This is my fourth year on the DWA Committee. I first became involved as the Pony Representative and the Junior & Young Rider Representative. Since then my role has expanded to include management of DWA’s Social Media and Website. When I'm not studying or riding, I try to have some semblance of a social life and enjoy finding new restaurants with friends. This year I plan to continue Marblz’ training in working equitation and have fun with Geneva in her first years of competition!" "I live in the Serpentine Jarrahdale region on 5 acres with my 2 horses and 2 daughters and their pony. This is my 1st year on the DWA committee and have come on as rider representative and co-author of the DWA newsletter. Outside of horse I have a Masters in Nursing and work in the Emergency Department at Sir Gardiner hospital as a Nurse Practitioner. In the horsey world I began riding as a 14 year old by mistake and it took off from there. I have completed my G level judging accreditation last year and have just begun fast track upgrading to E level judge this year. I have two horses in work one in FEI small tour and another owned by Pam Page about to start medium this year. My Oldest Daughter attends Pony club at Riverside PC. I love Dressage, it has always been a fascination to me and the ability to communicate with our horse is just amazing." "I have trained and competed numerous horses (and pony) successfully up to FEI for the last 20 years. I currently compete AEA Benetton who I have competited up through the levels with great success to firmly establish ourselves at Grand Prix. My family and myself reside in Brigadoon and we are owners of a 24 hour business in Burswood. I have held the positions of Riders Representative and Vice-Chair of DWA over the past three years. Both of these roles have given me a strong appreciation of the work that goes on behind the scenes of Dressage in WA, and where it is headed. In 2018 I am eager to step into my new role as High Performance Representative. 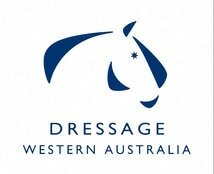 I look forward to an exciting year ahead for Dressage in WA." "Starting the 2018 season with my new horse Mosi-O-Tunya, we had a very successful first season but more importantly learnt that riding down the centreline was not something to be feared, rather enjoyed. I have started with DWA in 2019 as Participant Representative as I am extremely passionate about 'Grass Roots’ riders and having more opportunities for shows/protocol days and training (such as the very popular 2018 Grass Roots Championships) for Participant riders is something I would love to see in the future. Out of the saddle I am a fulltime Property Manager working for a boutique agency in Mt Hawthorn, which luckily share my equine passions and are extremely supportive and flexible with my work life balance."